Hatteras-Ocracoke switch today; Cedar Island & Swan Quarter on May 22. The Occupancy Tax Board voted to appropriate over $500,000. 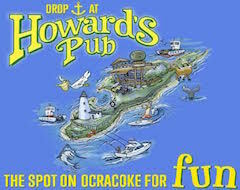 Over four hundred runners enjoyed Ocracoke's Race Weekend. Ferry Division adjusts Hatteras schedule due to dredging operations.